The best laid plans sometimes don't come off, do they? We unfortunately had to cancel our Halloween party, as our invitees were beset with difficulties from lack of babysitters to bereavement. Instead, we had just a couple of friends over for dinner, and we thought we'd still dress up for the fun of it. We're both characters from films, can you guess who we are? If you haven't guessed, that's my husband's impression of Keanu Reeves playing Jonathan Harker in the 1992 version of 'Dracula'. He actually does a passable impression of the voice too, we should have captured it on video! 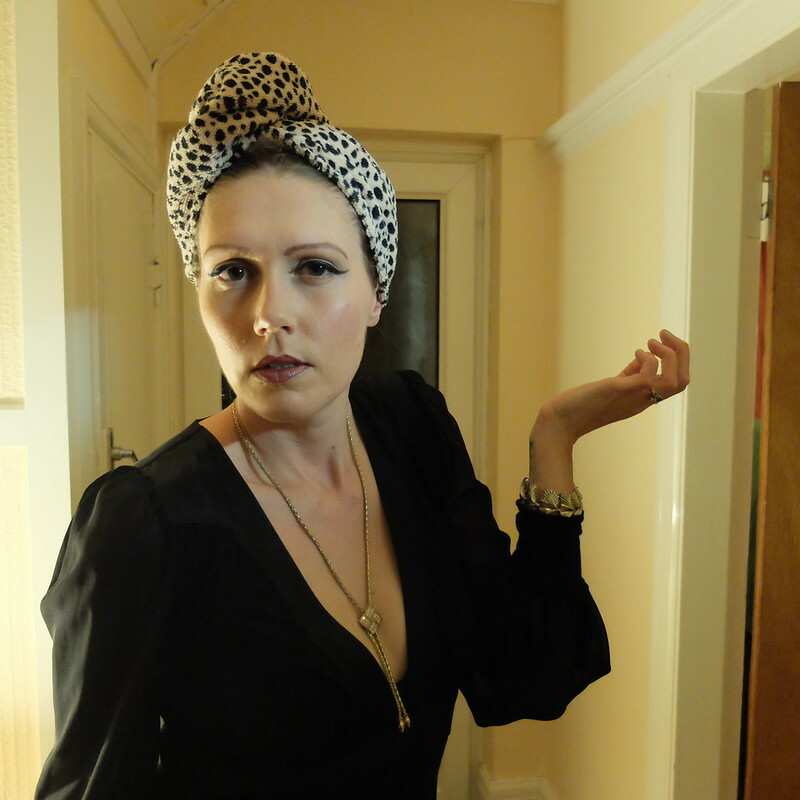 As for my outfit, I was the character Norma Desmond, played by Gloria Swanson in the 1950 film 'Sunset Boulevard'. It was a fun evening, with no Trick or Treaters, just lots of nice food and wine and a good catch-up with our lovely friends. 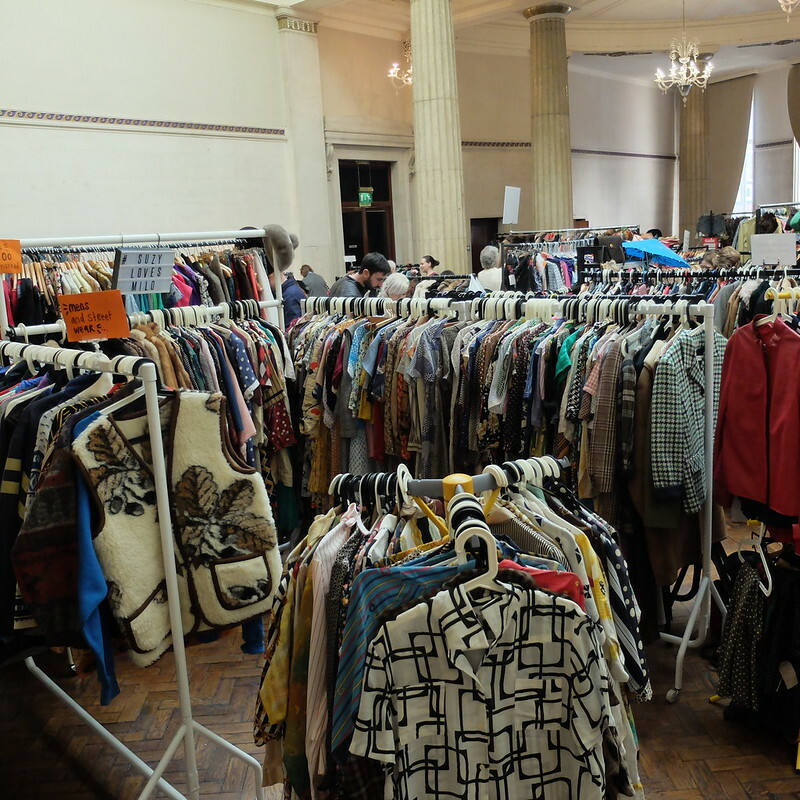 On Sunday, a little bit hazy, we headed down to Cardiff and I popped into Judy's Affordable Vintage Fair. Look who I bumped into there! Excuse the very blurry photo. Vix and Jon were every bit as lovely in person as I expected them to be, they're thoroughly warm and friendly people and I was so pleased to meet them after having been following Vix's blog for some time now. 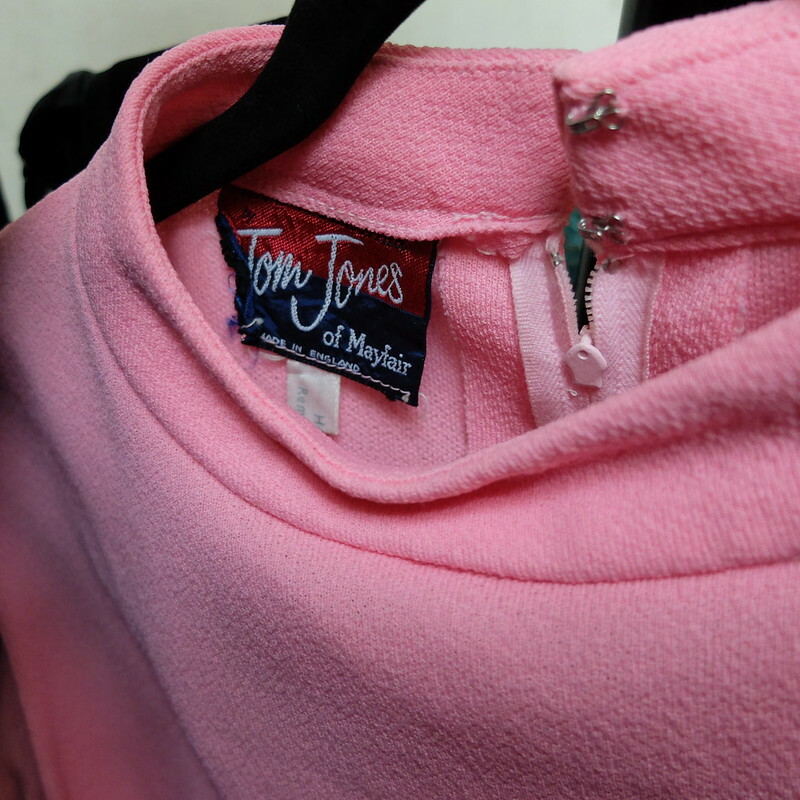 They have some great stuff on their stall too - and you won't find any torn fabric or missing zips, they obviously work hard to get their stock in tip-top condition. I did spy some lovely boots but curse my Amazonian feet for not being able to get in them! 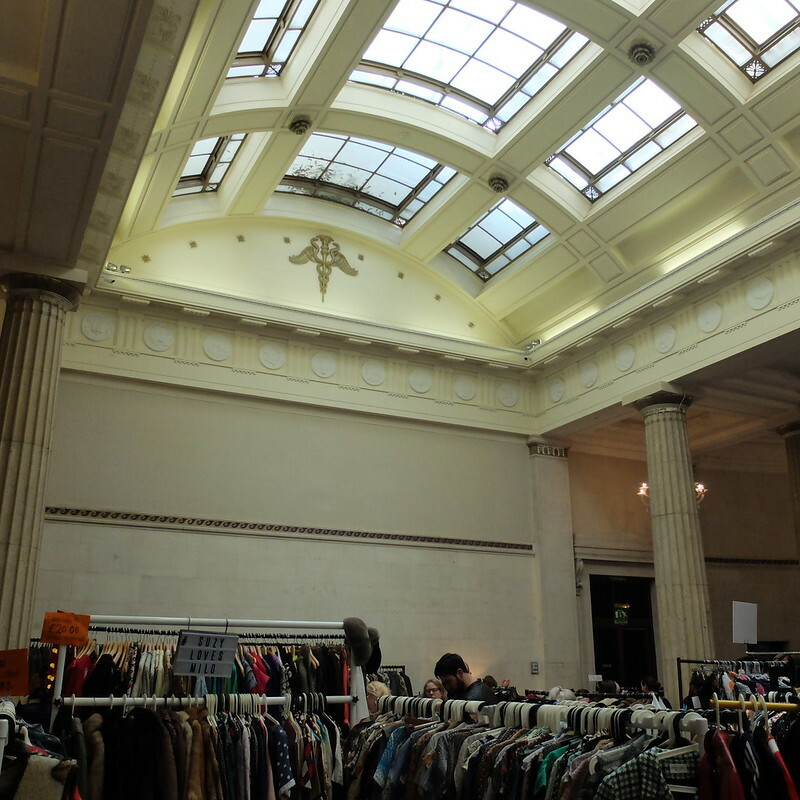 The venue for the fair, Portland House, was a place I had never been before, and I was surprised at how gorgeous it was inside, with intricate details and a marvellous curved skylight. Judy's fairs are always quite good, and they are indeed 'affordable', with not as many stalls selling older clothing. 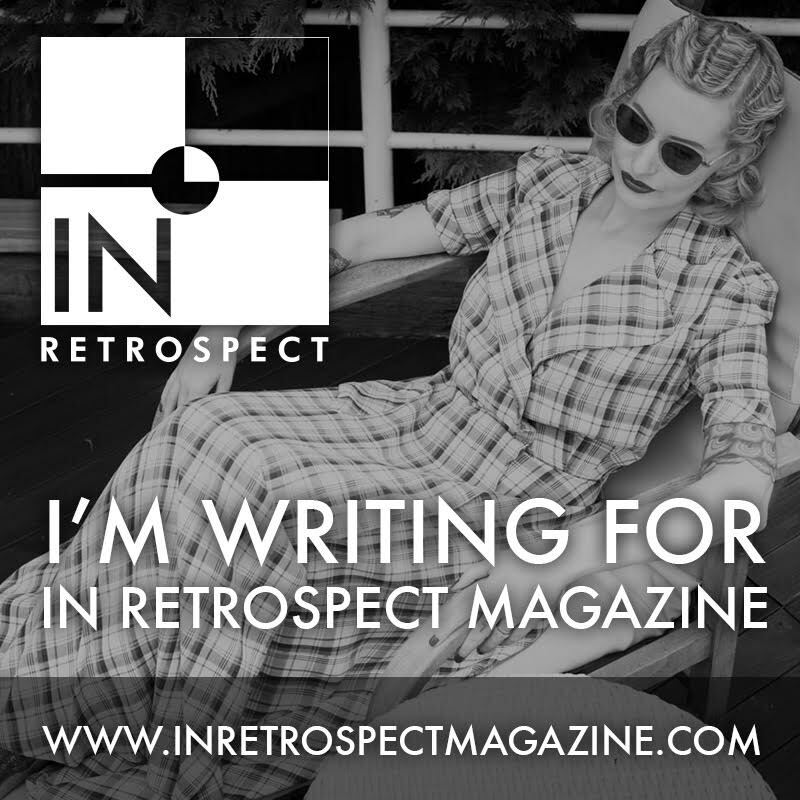 I would like to branch out more into vintage daywear from the '60s and '70s, but although I found a couple of dresses I liked, they had tiny waists, so I left empty-handed. 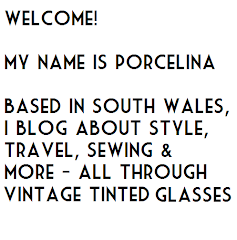 I did spy one dress with a label that was very apt for a Welsh vintage fair as the brand was 'Tom Jones'! This weekend seems to have gone very, very quickly indeed. I've really enjoyed seeing everyone's Halloween photos, gosh you were a superbly imaginative lot! 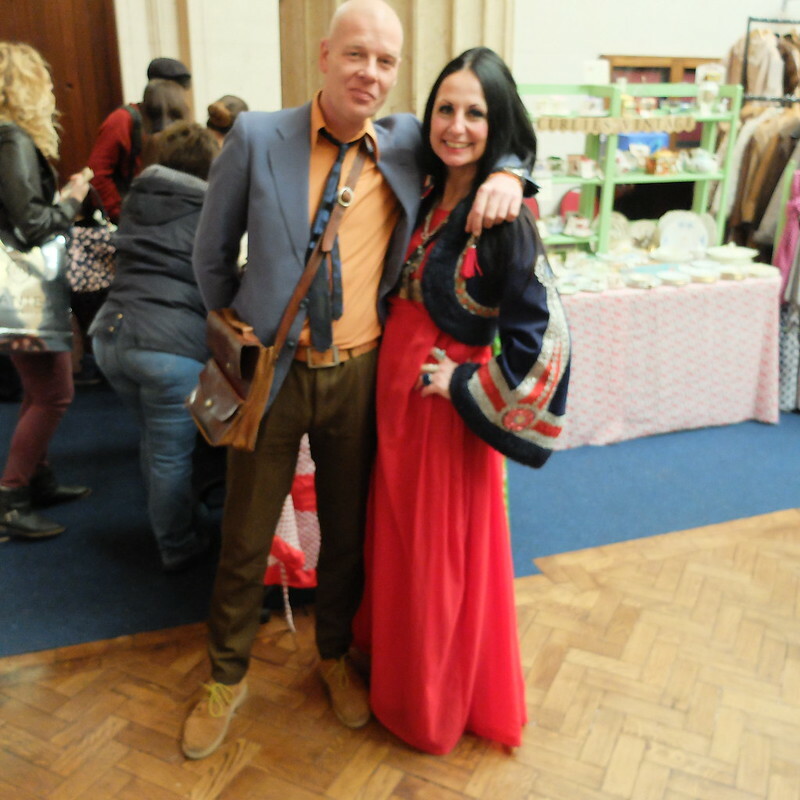 Have you been to any of the Judy's vintage fairs? You look fabulous as Norma Desmond! Oh, poot to the cancellations! At least you were still able to have a nice dinner. 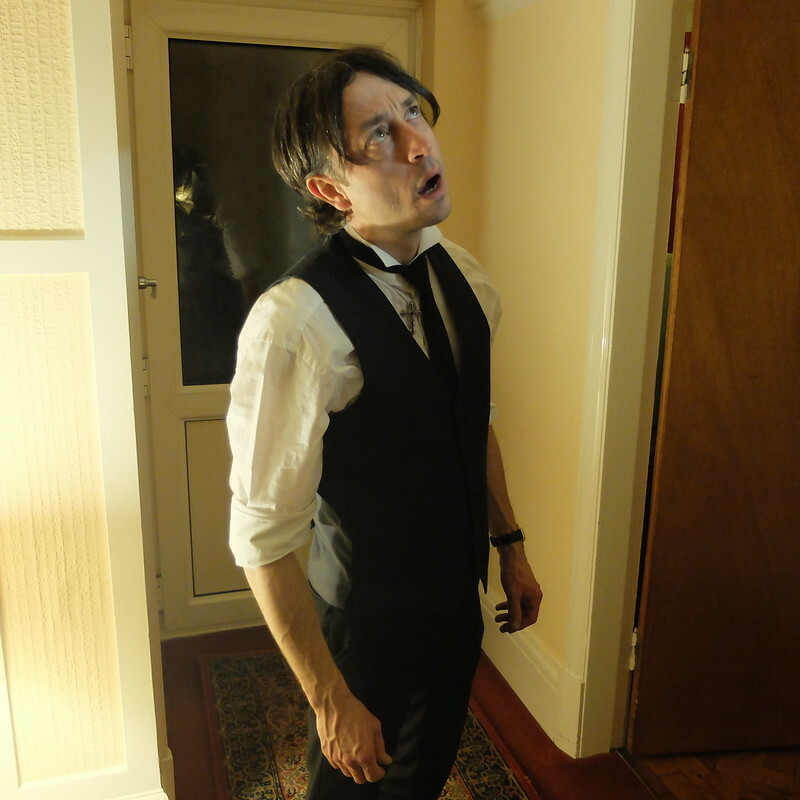 As for your husband's costume, Keanu Reeves as Harker is a thing of genuine horror (though I have a sneaking liking for the film). He did a scarily good impression! That is so cool - you're a great poser! You look like, to borrow a great American expression, a tall glass of water in that beguilingly beautiful Norma Desmond ensemble. Tres chic Halloween ensemble!!! Zero effort compared to your usual standards Gemma!! You both look fantastic! What a fabulously glam costume, I love it. I'm so jealous you were able to meet up with Vix and Jon at what looked like a wonderful show. Some pretty clothes, and the dark look really suits you! 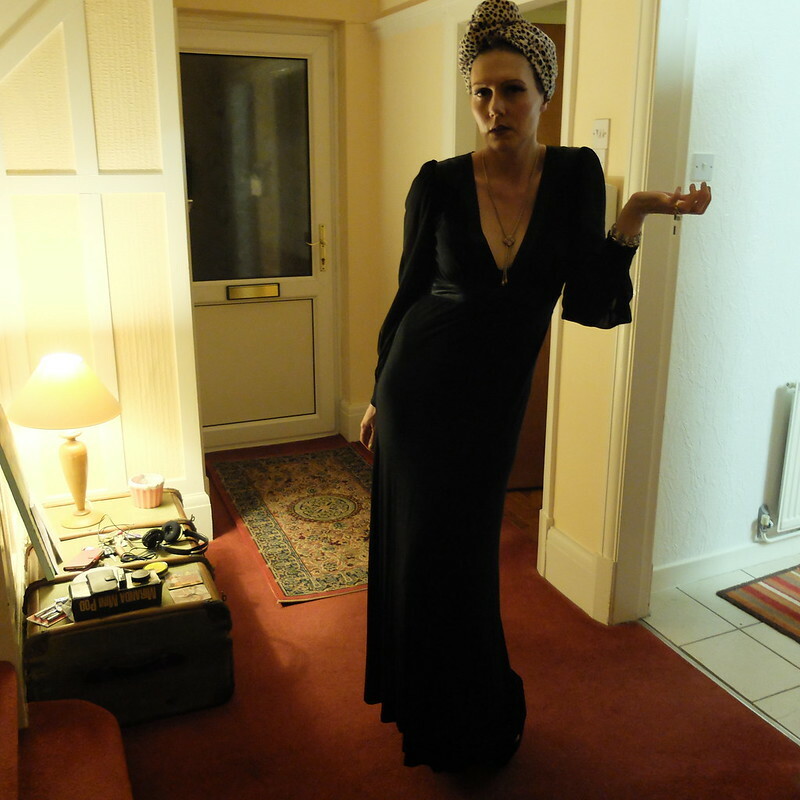 You look absolutely fabulous, I love that you went as Norma Desmond - I think I may re-watch Sunset Boulevard, it's been too long. Like Kariss said - dark colours suit you so well! You're killing it as Norma Desmond. I'm actually really digging that makeup look and turban on you, it's really fab. 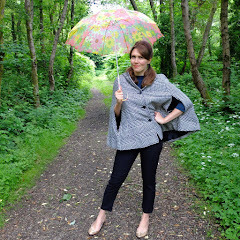 My husband hated this look so much!! So I don't think I can wear it too often. But I liked it! That fair looks great, I love a good rummage! I have nominated you for the Liebster award, hope you haven't already done it! Love your costumes! Such great details! You both pull them off marvelously!